I ended up driving there to buy the car I inquired about. The experience was smooth overall, but it didn't seem like they cared whether or not I bought the car and I have had a difficult time getting ahold of them since..but the car was a great price and condition. I was promptly contacted by dealership. Great experience! Invested minimal time and got exactly the car that I wanted. Very different than any other car buying experience that I've had, including having the car delivered to my house with all paperwork ready to be signed and the dealership rep even programmed my garage door opener when he was there. Thank you to both Bob Laughton and Colin Cunningham for making my experience so perfect! 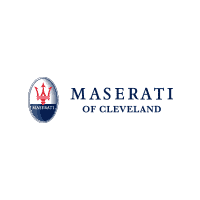 Maserati of Cleveland was amazing, the General Manager Bob was awesome to work with and the Business Manager Denise was easy to work with. Bought the car remotely, and the experience was more personal than buying it locally. Thanks to Bob & Denise for a fantastic experience.